As the snow has fallen, Petey's (yes, another dog post - deal with it) have been much more intense. Summer and Fall it was all about the squirrel and bunnies. Or was it? The dog was always on a scent, but who knows of what. With snow on the ground, it's a little more apparent. There are dogs everywhere on our walks. 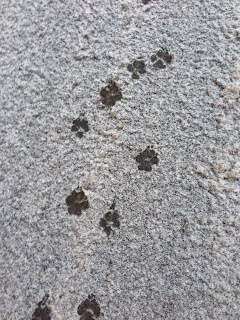 Or evidence of dogs, bet it prints or pee - the things you don't see when things are green and dry. As Peter makes a dash for a tree, it seems it is not because a squirrel was in the vicinity and gone up the tree - well, not always - no, another canine has come and gone. 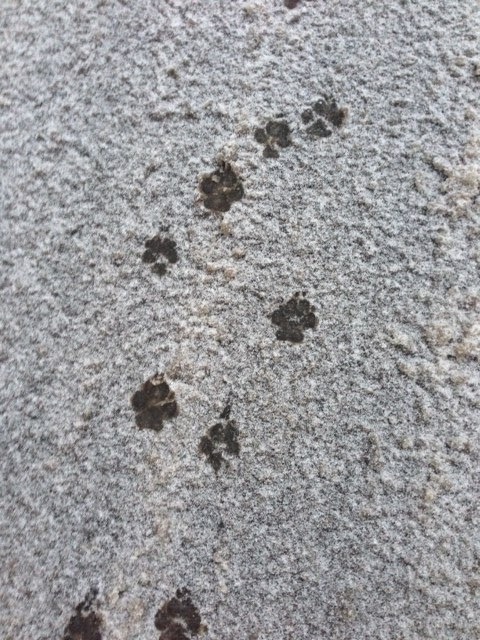 Oh a squirrel might have been around, but maybe that wasn't what he was tracking after all. Of course, the joke is, Petey doesn't really care that much for other dogs. He's not mean to them, unless you see him like a 7th grade Mean Girl, where he just as soon ignore them than play with them....or acknowledge their presence. Except for a few dog "friends", he's a loner pooch. Also, that mega course of antibiotics may have really cleared out his already active nose. Walks are longer and the tracking way way way more intense. I wouldn't trade him for the world though - he can walk as long as he can stand it, and as long as I can stand. It is very obvious that you love your dog so much and you are so proud of him. Dogs are really wonderful companion. My dog, Xavier, has been with the family for years and we wouldn't trade him for anything. I like petey stories - screw anyone that doesn't!